at Student Central (formerly Univeristy of London Union - ULU) Malet Street, London Photo: Ahsan Khan/Climate Labs. 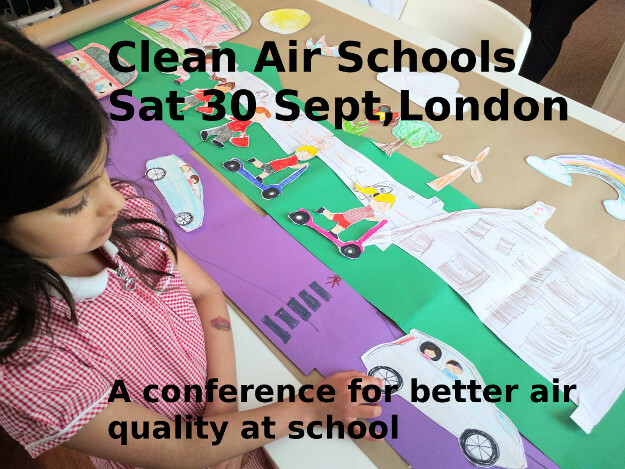 Clean Air Schools is a roundtable conference to inspire people who'd like to see clean air at schools: for their children and pupils. We'll hear from speakers who've organised projects at their children's school and local schools for better air quality. Bring your hopes and experience to share with us; and find people who have similar visions for our schools. COST: Free! All welcome. Please bring your own lunch or there are lots of cafes nearby. Any questions? Please contact us and ask. Thank-you. Ahsan Khan of Climate Labs about their Clean Air Camp at a school in the London Borough of Sutton, earlier this year. Eleanor Margolies about her project at Dog Kennel Hill school in London. Question, answers and discussion about the talks. Open Agenda: The afternoon session is open for arrangement by those attending. We'd love to hear your experience. Please bring your ideas and any materials which you might need.